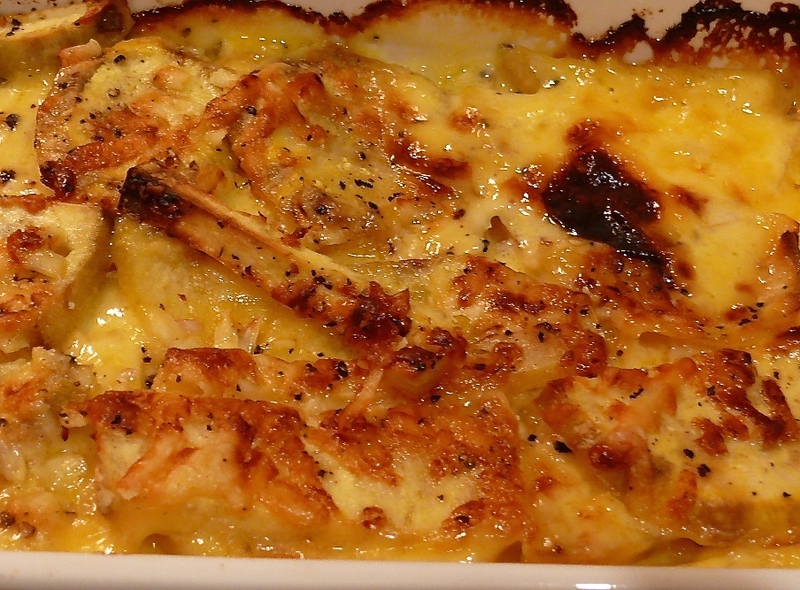 Creamy, scrumptious Sweet Potato Dauphinoise, such dreamy comfort food is a perfect side dish anytime. The original recipe uses potatoes but my take is to use sweet potatoes, or kumara, as we call them downunder. Personally I just prefer the taste and I think it makes the dish more creamier. Regardless, if potatoes are on your primal/paleo menu use them if you prefer or even mix the two. The dish has a disturbing history, involving song birds eaten whole. However, I am recommending this to be served with a simple meat dish such as lamb cutlets or a perfectly cooked steak instead! Add some broccoli, steamed and with a smattering of freshly ground nutmeg. This is one of those dishes that improve their flavour as time goes on. So if you have any leftover they are totally delicious fried up for breakfast the next day with bacon and eggs! • Preheat oven to 200c/395f. • Peel and thinly slice the sweet potato. You may want to cut the pieces in half if your sweet potato is large. • Place a layer of sweet potatoes in a 13cm x 23cm (5 x 9 in) baking dish. • Sprinkle this layer with some of the shallots, a grind of pepper and about a quarter of cup of the cream. • Continue to layer like this. • On the top layer dot with the butter. • Place in the oven and bake for 20 minutes. • You can tell if the dish is cooked by piecing the middle with a sharp knife, the sweet potato should be soft and the top will be golden. • If the sweet potato is not cooked but the top is golden cover with tin foil and cook for a further 6 – 8 minutes.